Bueller? Bueller? Want To Buy A House? 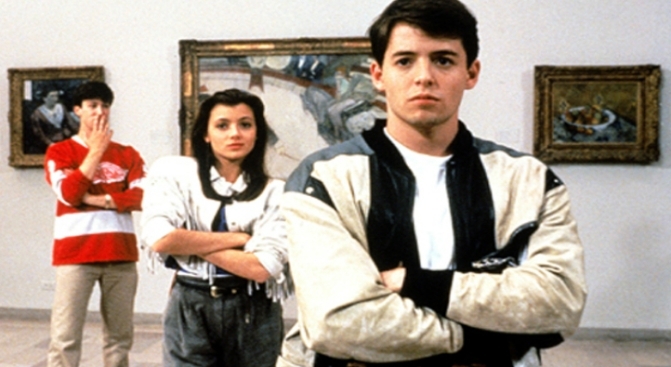 You can have bragging rights to say you own the house made famous by Ferris Bueller. This is some potentially good bragging material. If you are in the market to buy a house on the North Shore of Chicago, you can be the proud owner of the Highland Park home featured in "Ferris Bueller's Day Off." The house for sale was immortalized in the classic scene in which Cameron Frye, frustrated with his father, kicks his dad's Ferrari and sends it flying out the floor-to-ceiling windows and into the ravine below. The 5,300-square-foot house is on the market for $2.3 million. The most notable feature is the infamous glass "pavilion" hanging over the ravine. If you've got the cash sitting around, take a look here. "There's been a lot of interest in it already," Sudler Sotheby's International Realtor Meladee Hughes told the Daily Herald. "It's spectacular inside. It's like living in a tree house." Hughes says the house has movie memorabilia from the movie, including photos of actors Matthew Broderick and Alan Ruck. The house is described as an "architectural treasure," though the kitchen is still sporting the 1986-inspired vinyl flooring. And while we're at it, we'd like to point out another home made famous by North Shore director John Hughes that is on the market. For those with more traditional tastes, the red brick colonial featured in "Trains, Planes and Automobiles" is also available for $1.95 million in Kenilworth.